Information Technology Services hosts this IT All-Campus Workshop annually to share best practices, hear the latest about current and upcoming systemwide IT services, and discuss how to solve the challenges and take advantage of the new opportunities facing us daily. 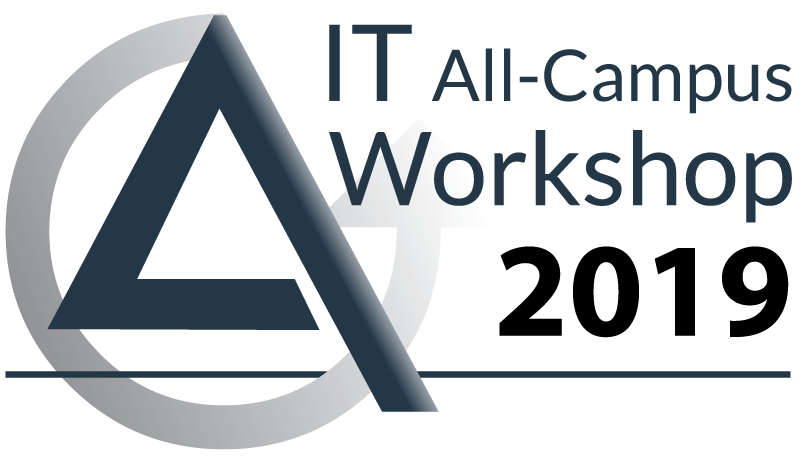 Check back here later for registration information for the All-Campus IT Workshop. The venue is limited to approximately 200 attendees so early sign-ups are encouraged. Late registration/walk-ins will only be accepted on a space-available basis. The workshop is scheduled to run from 9:00am to 3:30pm. Lunch will be provided. (1) You no longer wish to receive announcements about this and future workshops. (2) Heard about this event from a colleague but did not get an email announcement. (3) You just have general questions or comments about the IT All-Campus Workshop.